Send free Scripture Cards to friends. 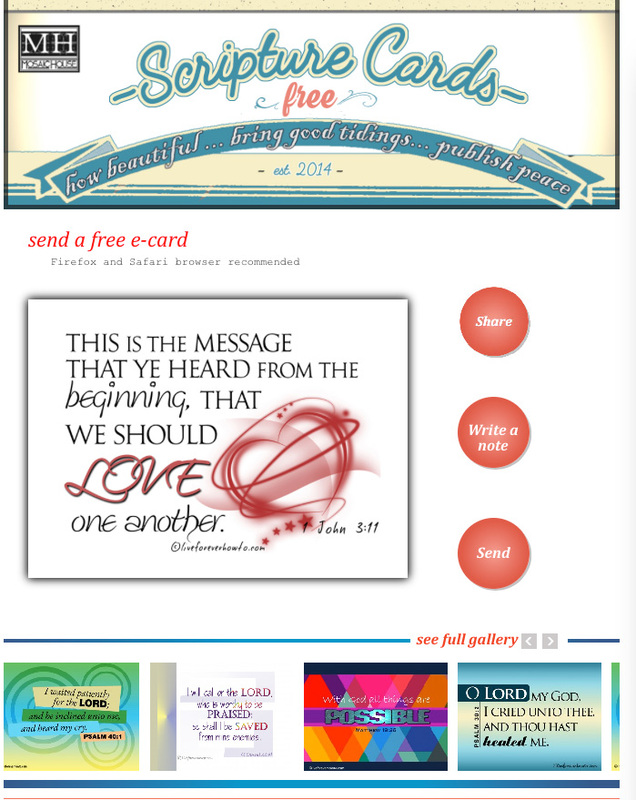 To send free e-postcards to friends and family visit our sister site freescripturecards. I started this site because I love nothing better than sharing good news around. And the best promises and most inspirational messages I’ve ever come across in my life are the nuggets of wisdom from the bible’s ancient manuscripts. Thanks to modern technology we can now with a few clicks of our mouse share these pearls of wisdom and cheer the people around us up with messages of love, joy, hope, guidance, promises of healing and prosperity and blessings. Enjoy!